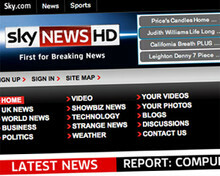 The culture secretary has accepted a proposal by News Corporation to spin off Sky News under an independent company as an undertaking in its takeover bid for BSkyB. The bid will now be considered by the culture secretary, despite Ofcom's recommendation that it be referred to the Competition Commission. If Hunt still feels that the proposal to spin off Sky News under a separate publicly limited company, Newco, will sufficiently address concerns over media plurality then the merger will not be referred to the Commission. According to today's release, the proposal would leave News Corporation with a 39.1 per cent stake in Newco, with the rest of the shares distributed among existing shareholders of BSkyB in line with their shareholdings. "To ensure editorial independence and integrity in news reporting, the company would have a board made up of a majority of independent directors, including an independent chair, and a corporate governance and editorial committee made up of independent directors (who would have no other News Corporation interests)," the release adds. As part of the agreement, News Corporation would not be allowed to increase its shareholding in the new company without permission from the secretary of state for 10 years. In a statement today, Hunt said following advice from Ofcom and the Office of Fair Trading he believes News Corp's proposals will address concerns over media plurality. "The undertakings offered would ensure that shareholdings in Sky News would remain unchanged, and indeed offer it more independence from News Corporation than it currently has. The consultation is due to run until 21 March.